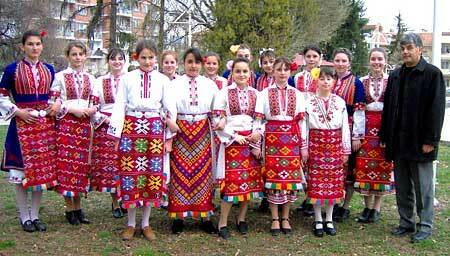 Folk art is an expression of the intrinsic nature and the vitality of the Bulgarian people. It is what makes us valuable to ourselves and interesting to the world. Here, in the Pirin Region, you can enjoy a festivity of colour and sound - of the multi-coloured embroideries of the folk costumes and the unique sound of the Bulgarian songs. 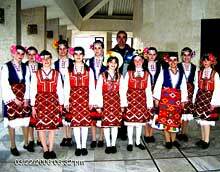 There re 9 cultural clubs in the Gotse Delchev Municipality, each of which is an ardent preserver and follower of the Bulgarian Traditions. Their original folk ensembles are welcome and preferred participants in national and international festivals. takes an important part in the cultural and educational life of the population of the town of Gotse Delchev, the municipality and the region. Founded in 1865, during the National Revival era, it was the first cultural club in the Pirin region and played an invaluable role in the formation of the spiritual life and the culture of the region. It serves as an example of the strength of the national creative spirit. The Prosveta Cultural Club had a historic contribution to the preservation and development of the Bulgarian language in the region, to the emergence and development of theatre, music and other warts, and of museum and library work. •	Team of Cheerleaders, instructor - Ognyan Valev. 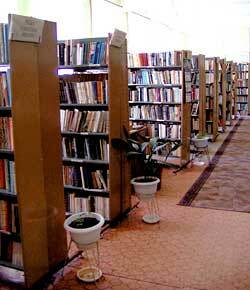 is the only library in Gotse Delchev and the three neighbouring municipalities. It has a stock of 141 000 items: books, reference materials, etc., encompassing all branches of human knowledge. The library serves about 5 000 registered readers from the municipality and its region: school pupils, teachers, tutors, students, engineers and mechanics, medical staff, pensioners and others. The library has an automated database and a computer network; it offers Internet use and photocopying services. The library organizes cultural and literature events. There are thematic displays and exhibitions of new book in the library's rooms. 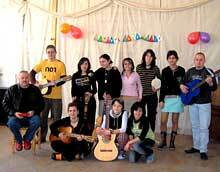 It is the first amateur folk ensemble in Bulgaria. It was founded in 1946 and was first named after the historical personality Yane Sandanski. Later on, the old name of the town of Gotse Delchev - Nevrokop - was added to the name of the ensemble. During its half-century artistic carrier, the ensemble has been searching, preserving and recreated on stage the folk songs, dances and customs - the ethnographical heritage of the Bulgarian people. The ensemble has up to now performed 3800 concerts with over 3,6 million spectators. It has been on cross-border tours in Poland, Hungary, Yugoslavia, Macedonia, Russia, Latvia, Ukraine, Greece, Italy, Holland, Canada, Egypt and Germany. It has released 2 LPs, 1 CD, 3 audiocassettes, many records on the national radio and television. It has been awarded the Cyril and Methodius Order of the 1st degree and the title of Exemplary Ensemble, and many other national and international awards. 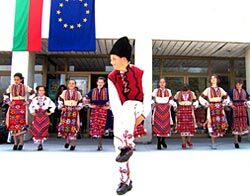 The ensemble's repertoire is based on the folklore of the Nevrokop Folklore Region, but also includes samples of the other folklore areas of Bulgaria.